The family of a young Kineton girl living with a wide range of special needs has been awarded £3,269 to help improve her quality of sleep. The money, from the WPH Charitable Trust – which provides medical or health care funding for people living with long term disability or chronic illness – has been used for the purchase of a safety sleeper for 12-year-old Tammy O’Sullivan. It means Tammy and her family were able to enjoy a trip to Disney at the end of last year, with mum Becky saying the safety sleeper helps Tammy sleep more safely and comfortably at night. She said: “Up until now, when we have gone away on family holidays it’s been hard as there are no beds to suit Tammy. She often rolls off the bed so usually I would have to sleep with her which was never ideal as it led to disturbed sleep all night for us both. Tammy relies on 33-year-old mum Becky for day-to-day care, physio and feeding. Adaptations at home include a lift, taking her upstairs to her room. She also has a wet room and sensory room and there are adaptations in the garden. Established in 1994 with funds from the sale of the Warwickshire Private Hospital, the WPH Charitable Trust provides funding for individuals, groups and organisations which work to prevent, relieve and cure sickness in Coventry and Warwickshire. The Trust provides grants for medical research, buildings, equipment and other forms of medical care for residents of the region. All applications are made via the Trust’s website and are assessed on a quarterly basis. 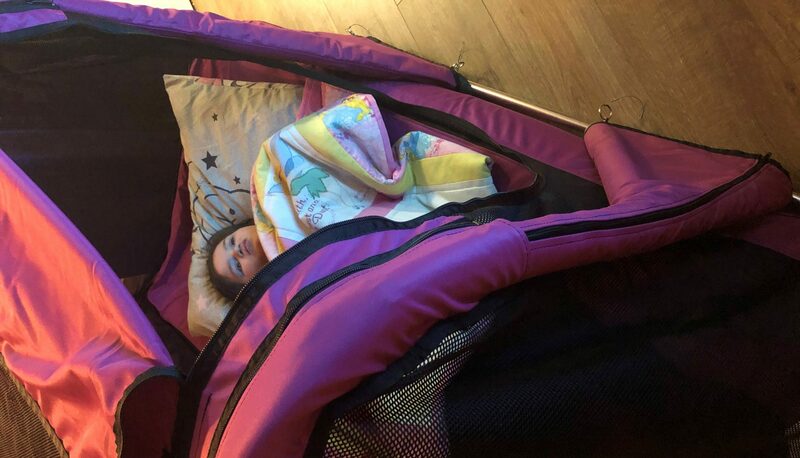 Featured Image: Tammy O’Sullivan inside her safety sleeper.